Nearly all of us start our day off in the bathroom. It should be a comfortable and inviting place to prepare for the day ahead. We can help you create the perfect space. 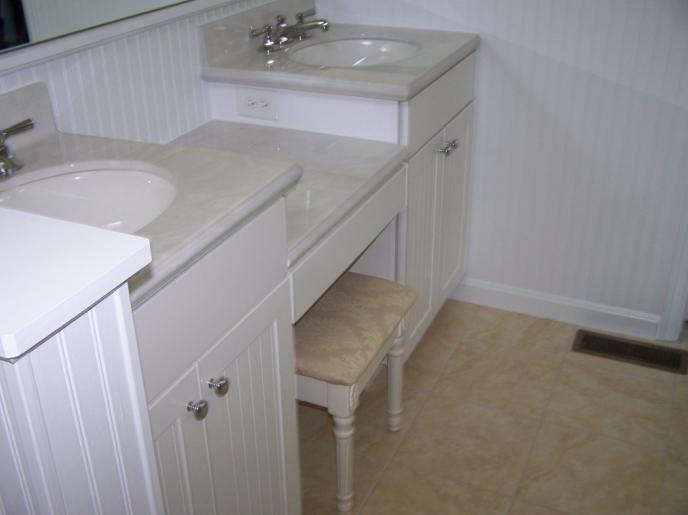 Proper design is imperative for bathrooms, especially if it is a smaller bathroom in an older home. 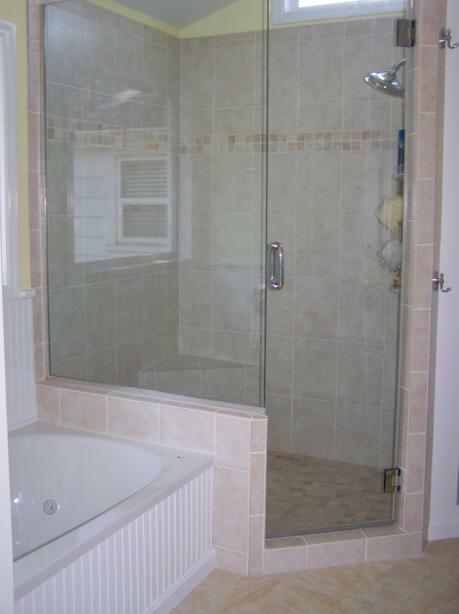 In an older home we can sometimes take space from a spare bedroom to make more room for a larger shower in the master bath. Give us a call to find out what we can do to renew your old space. 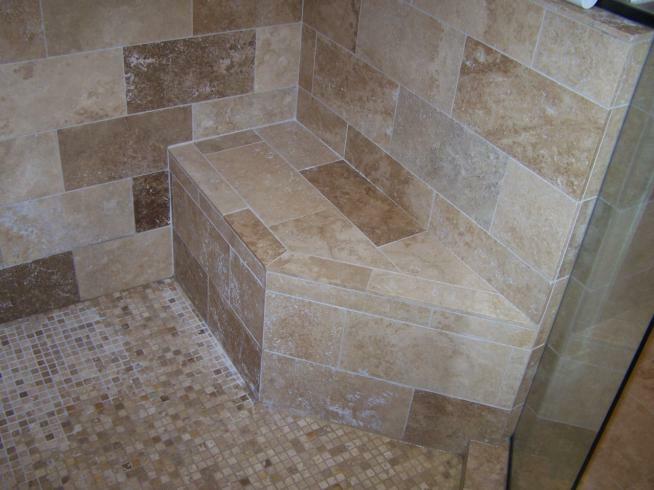 Regardless of your style or budget we can create a bathroom for nearly everyone. 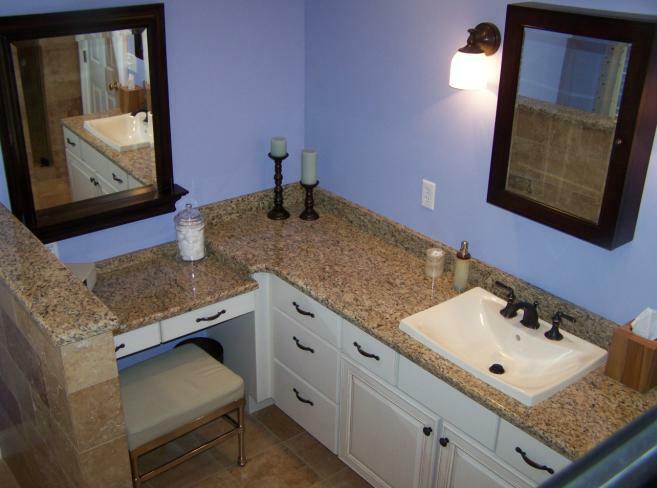 We utilize many modern conveniences such as radiant floor heating, heated towel racks, multiple shower heads and body sprays and affordable curbless shower designs as well as ADA accessible bathrooms. Every detail is considered when designing and building your new private retreat. 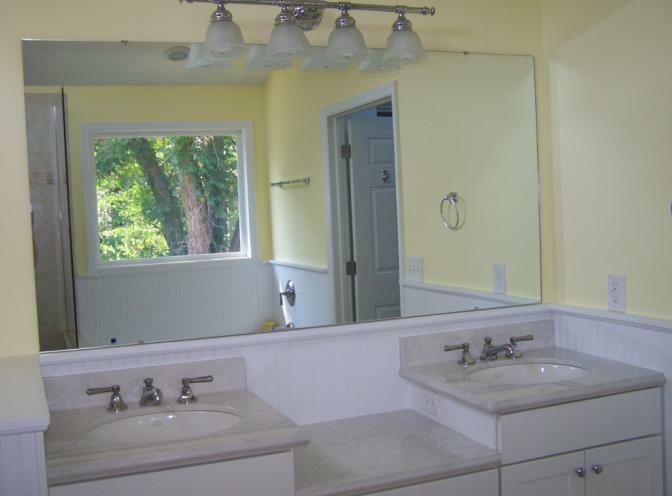 This West Chester, Ohio bathroom was your typical 80's style builder-grade bathroom with vinyl flooring, plastic shower stall, cheap cabinets and pink walls. Needless to say we made quite an improvement over the original bathroom, including the layout. 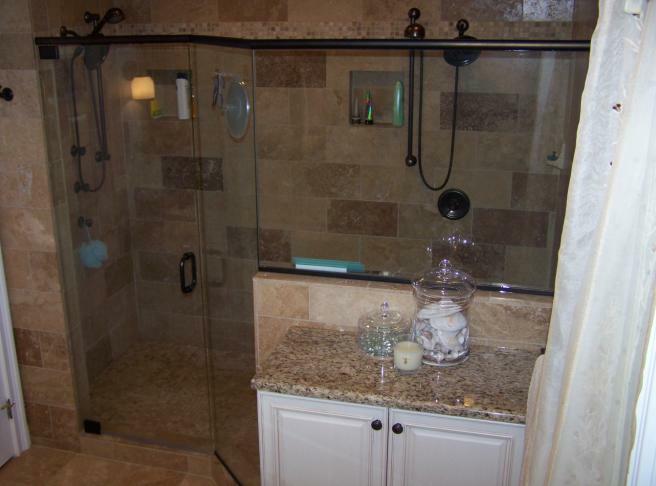 This homeowner had no need for a tub in this bathroom so we took advantage of the space and created a large 2-person shower with one of the shower stations having a body spray. The shower glass is all custom and provided by Basco. 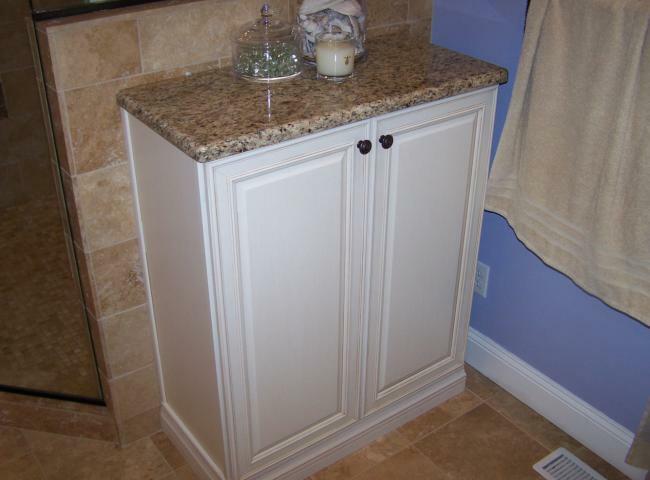 The plumbing fixtures are provided by Ferguson Enterprises. 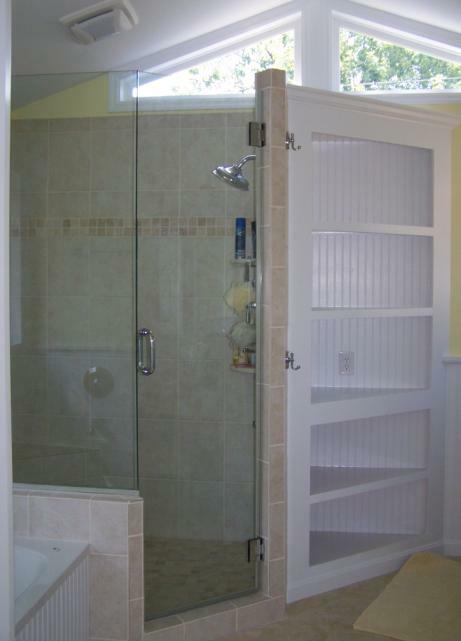 The spacious shower provides this couple with a seperate shower station for each of them. A Hyde Park couple wanted a master bathroom retreat that worked with their active lifestyles and provided a soothing place to relax after a long run or bike ride. 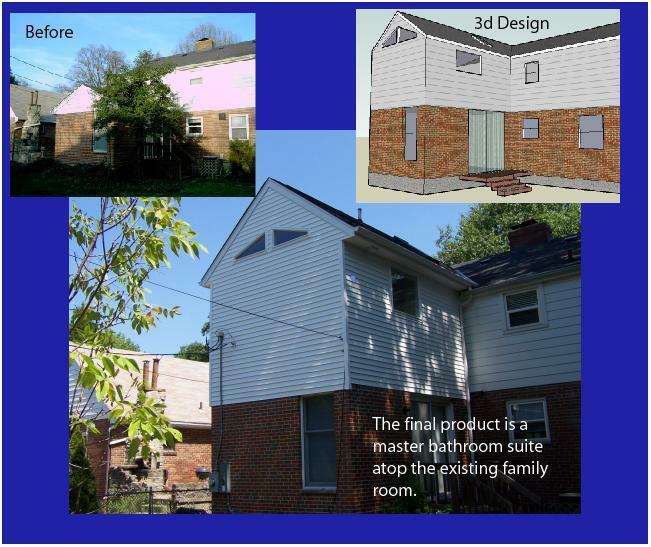 The existing floorplan of the home just didn't have the space to accomodate their needs, so we expanded by utilizing an existing room addition and building on top of it. 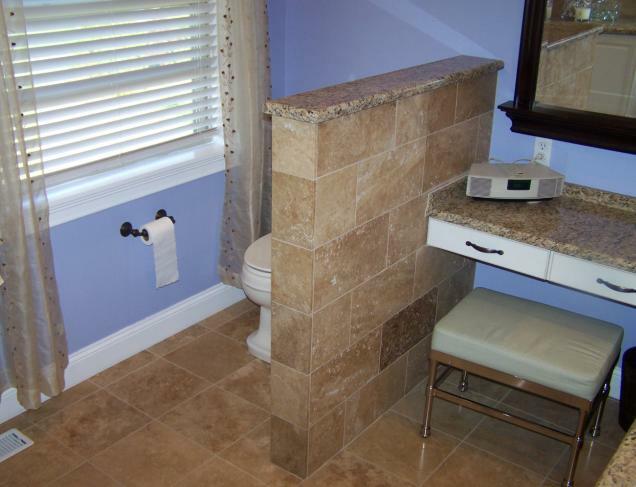 The existing family room addition was added to the home in the 70's and was solid enough to accept the new 2nd story addition that would become the new bathroom. 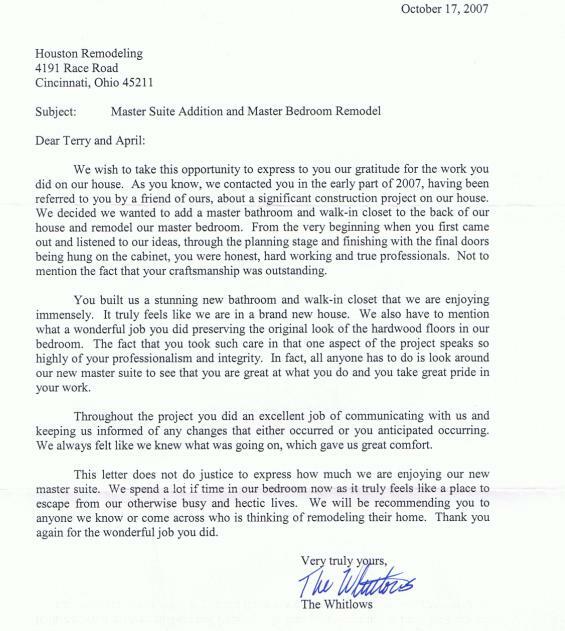 Their master bedroom was also improved by removing the old small closets and creating a large new walk-in closet in the new addition. 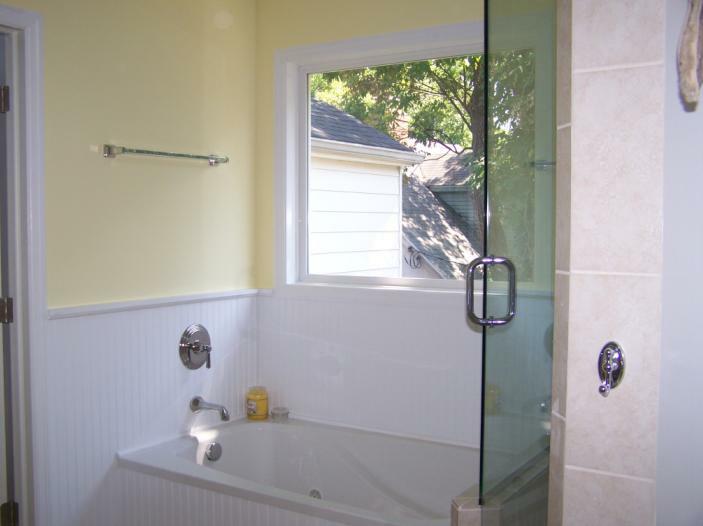 The new bathroom has a roomy custom shower with body sprays and lots of open glass to get natural daylight. A standard bathtub-sized whirlpool tub allows them to soak aching muscles, while still not stealing unnecessary space from the room. Some interior photos of the project.